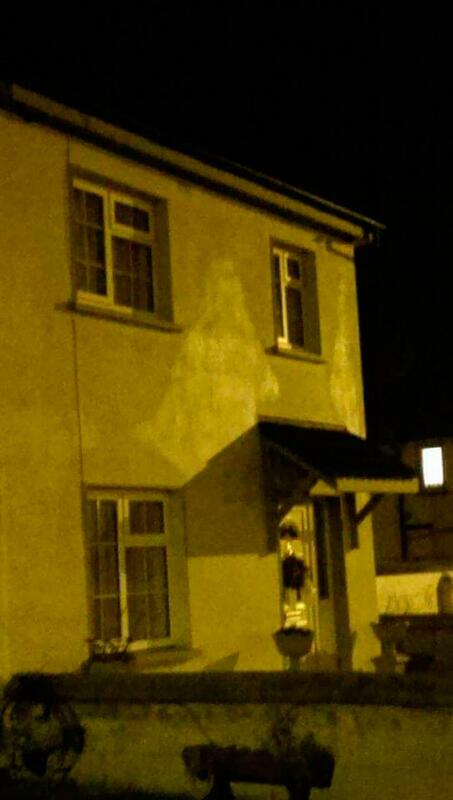 Crowds have flocked to a house in Co Limerick after an 'apparition of the Virgin Mary' appeared on an external wall. These photos, taken by Aisling O'Reilly, show an outline of what locals in Kilmallock claim is the Blessed Virgin. They were posted to Facebook late on Thursday night and have already generated a huge interest online. Ms O'Reilly said she was convinced it is a legitimate appearance, writing: "Our lady appeared tonight on my grandfather's sister's house in Kiilmallock." The Limerick Leader is reporting that within hours of the peculiar appearance up to 50 people had gathered outside the house. A local priest also reportedly attended and the rosary was said. This is the second 'sighting' of the Virgin Mary in Co Limerick in recent years. In 2009 believers from across the country flocked to the St. Mary's Parish Church in Rathkeale after an image of the Blessed Virgin appeared in a wooden stump.